Insulin is usually needed for treatment of diabetes mellitus, a disorder in regulation of blood sugar. Vetsulin is an Merck & Company, Inc. insulin product for dogs and cats. In March 2010, Merck received a Food and Drug Administration warning regarding Vetsulin, citing inadequate product stability. The Food and Drug Administration had issued an alert to veterinarians regarding the product in November 2009. Isophane insulin suspension, commonly known as Neutral Protamine Hagedorn insulin or NPH insulin, is an alternative insulin with intermediate duration of action. Although Vetsulin has not been recalled, because of an uncertain future for the product, Merck currently recommends transitioning dogs and cats receiving Vetsulin to an alternative insulin. Standard recommendations for making the transition from Vetsulin to alternative insulins include re-starting diabetic control with a different insulin using the same technique as used for starting insulin treatment in a newly diagnosed case of diabetes. Consult with your veterinarian prior to instituting any changes in insulin use. Adequate and safe diabetic management is often a straightforward process but can be difficult. Although needed in most diabetic cases, risks are incurred with insulin treatment. After discontinuing Vetsulin use in dogs, immediately restart diabetic treatment with insulin according to the following instructions recommended by Drs. Nelson, Zoran, and Cook, members of the American Animal Hospital Association Diabetes Guidelines Task Force: begin using 0.25 International Units per kilogram body weight given twice daily of human recombinant NPH insulin, then adjust the dose as indicated by changes in clinical signs and blood testing. After discontinuing Vetsulin use in cats, immediately restart insulin dosing using recommendations from the doctors associated with the American Animal Hospital Association Diabetes Guidelines Task Force using one international unit injected twice daily of either human recombinant Protamine Zinc Insulin, such as Boehringer Ingleheim's "ProZinc" product, or insulin glargine. Although sometimes still used for cats, NPH insulin is not generally recommended for use in this species because of variable response. Doctors associated with the American Animal Hospital Association Diabetes Guidelines Task Force indicate that transitioning cats from one to another insulin product requires "starting over with diabetes regulation" however do not cite NPH insulin as a suitable product for cats. A starting dose for NPH insulin recommended in Plumb's Veterinary Drug Handbook for new diabetic cases is 0.5 International Units per kilogram body weight given under the skin every 12 hours, or "1 - 2 Units per cat" given under the skin every 12 hours. Monitor clinical signs including water intake, appetite, quantity of urine, body weight and general condition to guide changes in dosing. A period of adjustment occurs following changes in insulin type and dosing regimen. 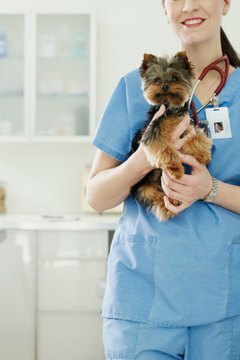 Use blood testing for blood sugar, known as blood glucose, either in a veterinary hospital or at home with a glucometer under the guidance of a veterinarian, to assess response to insulin treatment and to avoid hypoglycemia, or low blood glucose, which may occur with inappropriate insulin dosing. Use urine dipsticks to monitor urine glucose, which may be increased in an uncontrolled diabetic, and ketones, compounds which may indicate moderate or severe side effects from diabetes. Follow diet recommendations to improve diabetic control. Make changes in type, dose or frequency of insulin use under the direction of a veterinarian. Improper adjustments can result in sickness or death. Use special care to use the correct syringes when changing from one to another type of insulin, as some insulins require 40 unit per milliliter syringes and others 100 unit per milliliter syringes. Use of the wrong syringe can result in improper dosing.